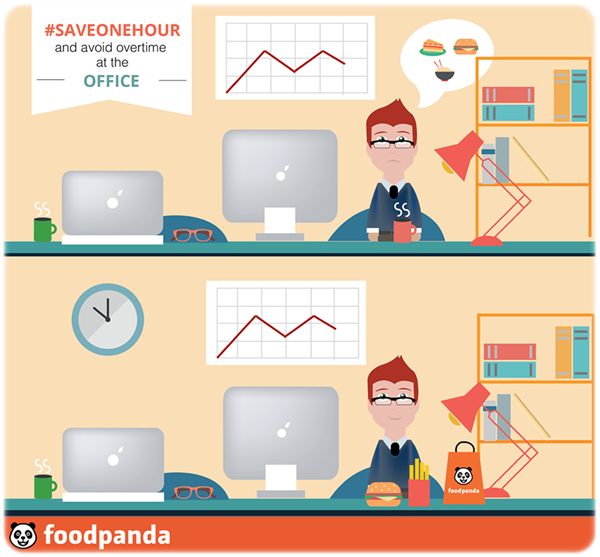 Save your time with Foodpanda! Assignments and final exams are driving me crazy that I barely have the leisure time to breathe. I've been quite busy with my work lately, and to make things more challenging I had to juggle between my studies, my blog and also a part-time job. Yes, just in case you are wondering, besides being a part-time blogger, I'm also undertaking a part-time job to earn some extra pocket money. Since I have always had a busy schedule, I try to eat at home as much as possible so that I do not need to spend time driving myself out and look for a place to dine in. Wait. Time isn't just wasted on driving alone. ...and only then, get back to my work. So one busy night, I was doing my assignments and complaining to Teddy over the phone that I was hungry but I just had no time to eat. It wasn't the first time, and he was equally frustrated as I was. The deadline was one day after and I still had a ton to cover, and yay, who would have thought there wasn't any food in the house? What a beautiful coincidence! But luckily, it wasn't the end of the day! Out of nowhere, Teddy discovered a panda, but NO we aren't going to have grilled panda for dinner. Even better, this panda we found is able to bring food to my house on demand!! 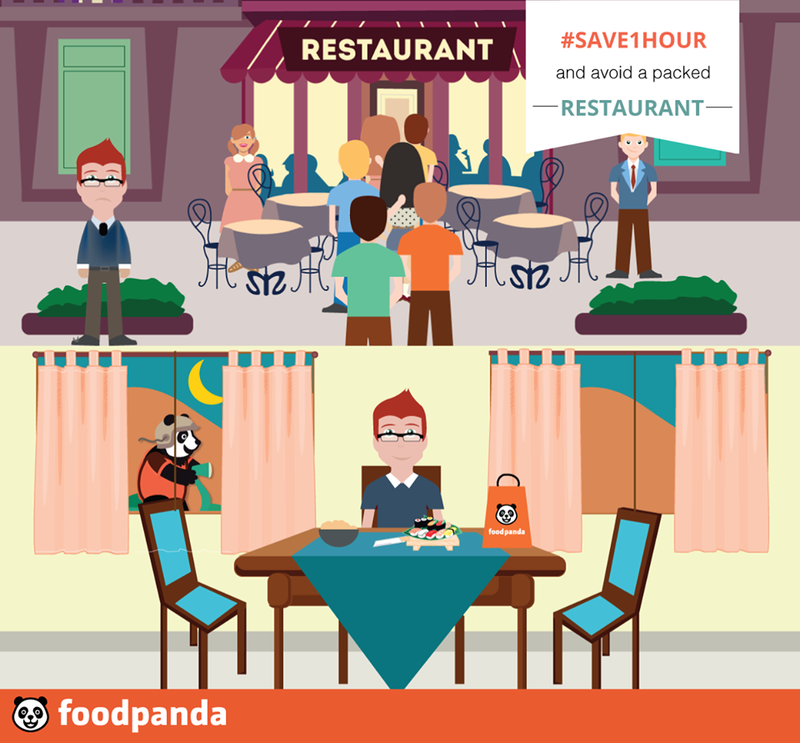 So I came across foodpanda from Facebook, and they're having a campaign named #Save1Hour! The #Save1Hour campaign advocates saving one hour of our busy lives by doing the things we want or have to while leaving the meal preparation and delivery of food to the experts. Without second thoughts, I headed over to their website to see what kind of food they offer. Do note that the list of restaurants varies with your residential area! It's awesome that I didn't have to waste time cooking in the kitchen or heading out to even the nearest restaurant. 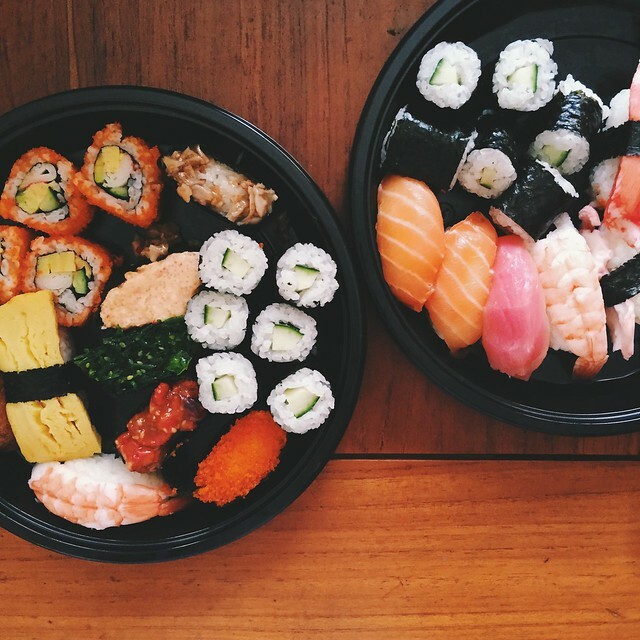 All these hassles are not a trouble with foodpanda delivery! What's better than staying home with your comfy clothes, doing your work, and having your food delivered right to your doorstep? Besides, don't forget to join the #Save1hour contest by posting your suggestion on their Facebook contest page about what you would do if you could save 1 hour with foodpanda delivery service! 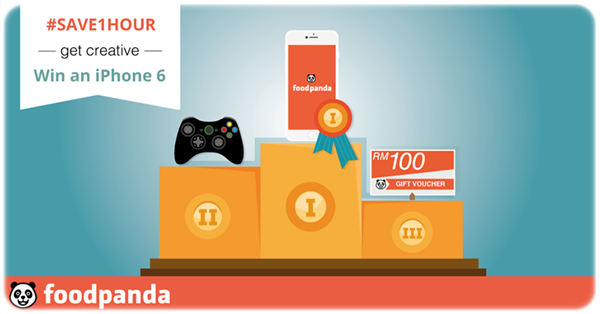 Attractive weekly prizes like Xbox One, iPhone 6 and foodpanda vouchers worth RM100 will be given away!!! The #Save1Hour Facebook Contest will be running from 10th November 2014 to 8th December 2014. Feel free to submit your entries to Foodpanda's Facebook page from Thursday to Sunday each week. Winners of the contest will be announced on the following Monday.